We recommend booking online in advance to avoid disappointment. Minimum age to bounce is strictly 3-years for their own safety. Rebound Grip socks must be worn on the Trampoline floor. No food or drink to be taken onto the trampoline area. No jewelry, phones or other objects in pockets (keys, wallets, phones, etc.). Rebound Grip socks must be worn at all times on the Tramps. One person only per trampoline at a time. Be courteous to other jumpers. Take care and give way to smaller jumpers. Always jump within your ability. Don’t jump or intentionally land on padding. No climbing the walls or netting. Do not use trampoline if you are pregnant, feeling ill, or using medication. No one under the influence of drugs or alcohol is permitted on the equipment. There are inherent risks in the participation in or on any trampoline court. 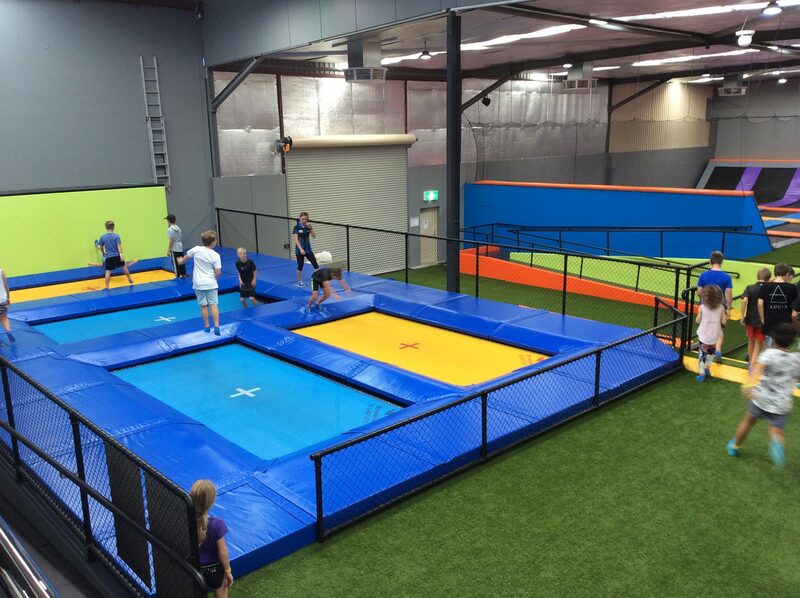 Patrons of a trampoline park, by becoming active participants, accept the risks inherent in such participation of which a prudent person is or should be aware. Patrons have a duty to exercise good judgment and act in a responsible manner while using the trampoline court and to obey all oral or written warnings, or both, prior to or during participation, or both. a) Patrons have a duty to not participate on any trampoline court when under the influence of drugs or alcohol. b) Patrons have a duty to properly use all trampoline court safety equipment provided. c) Patrons have a duty to not participate in or on any trampoline court if they have pre-existing medical conditions, including but not limited to circulatory conditions, heart or lung conditions, recent surgeries, back or neck conditions, high blood pressure, any history of spine, musculoskeletal or head injury, or may be pregnant. d) Patrons have a duty to remove inappropriate attire, including hard, sharp, or dangerous objects (such as buckles, pens, purses, badges, and so forth). e) Patrons have a duty to avoid bodily contact with other patrons. 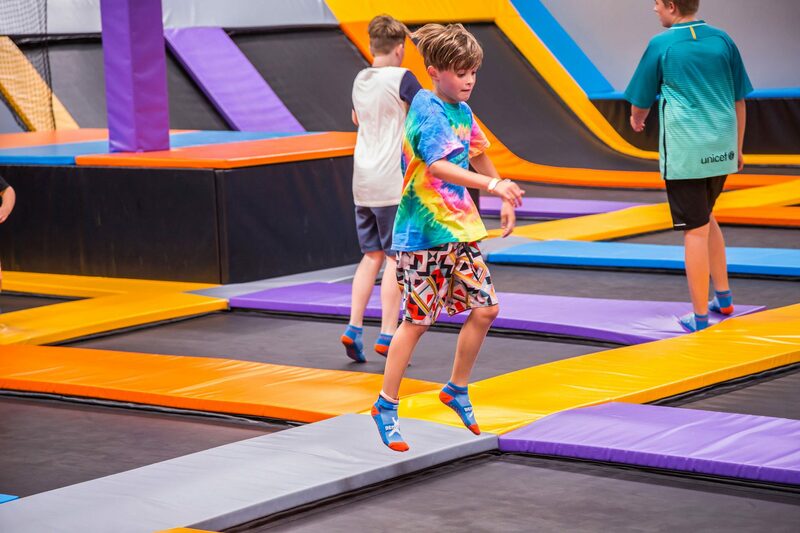 f) Patrons have a duty to conform with or meet height, weight, or age restrictions imposed by the manufacturer or owner to use or participate in the trampoline court activity. g) Patrons have a duty to avoid crowding or overloading individual sections of the trampoline court. h) Patrons have a duty to use the trampoline court within their own limitations, training, and acquired skills. i) Patrons have a duty to avoid landing on their head or neck. Serious injury, paralysis, or death, can occur even when landing on the trampoline bed, air bag, or padding. j) When required by the operator, patrons are required to use approved socks specified for safe use of the facility.